365 kilometres of runs surrounded by 38 peaks exceeding 4,000m, skiing all year round and lifts up to an altitude of almost 4,000m above sea level – in Zermatt there are superlatives wherever you look! But as soon as you take a seat in the beautiful Matterhorn Gotthard Bahn train and the majestic Matterhorn springs into view, you quickly realise that it’s not just facts and figures that make Zermatt so special. First and foremost, its unique location at the end of the Matter Valley in the south of the Canton of Valais needs to be seen to be believed. The natural beauty is so remarkable here that even the size of the ski area (which extends all the way into Italy’s Aosta Valley) becomes very much secondary. The first impressions of Zermatt are certainly overwhelming and it’s hard to imagine ever getting bored of this huge ski area. Nevertheless, there is always room for improvement, even in the most well-known tourist destinations. 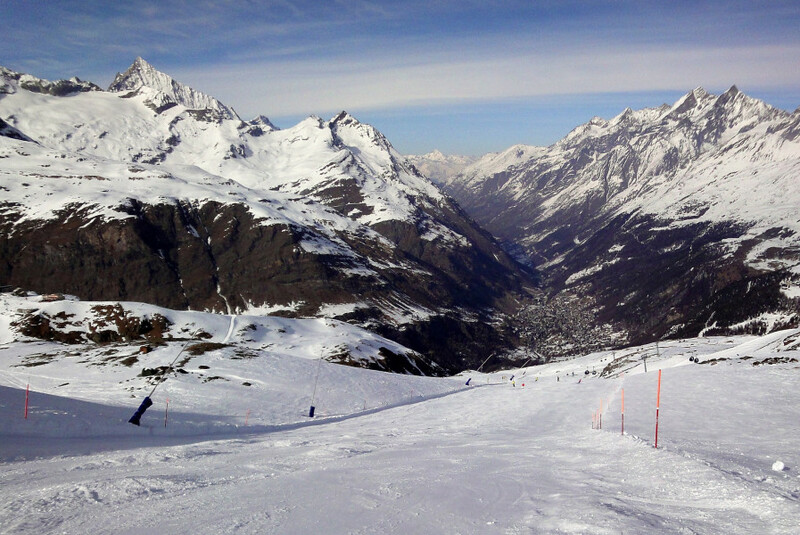 We’ve taken a close look at Zermatt in 10 different test categories. 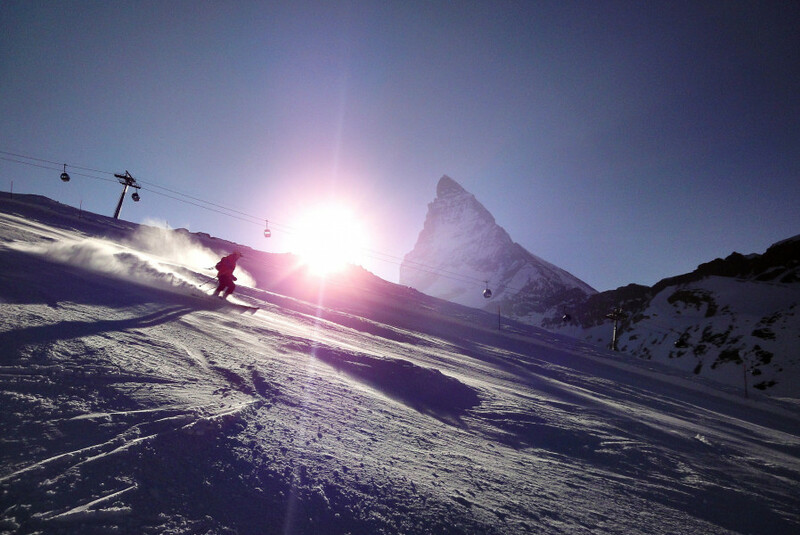 Simply click on the categories below to find out how Matterhorn Ski Paradise did in our comprehensive test. Zermatt a tout: beauté du site, installations modernes, hotellerie et/ou appartement de classe dans chaque catégorie, restauration sur les pistes extraordinaire, gentillesse sur place, domaine skiable très soigné. 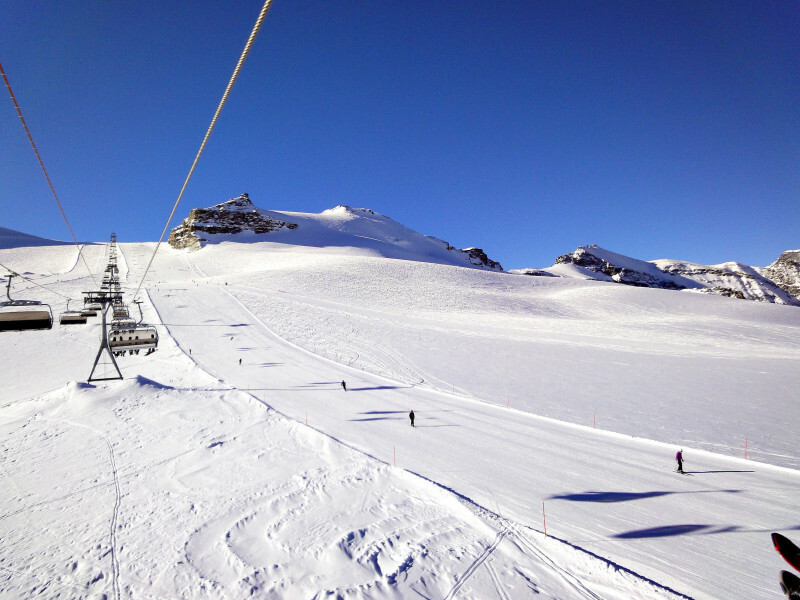 Variety on the slopes and dreamlike surroundings of many 4000s of the Alps. 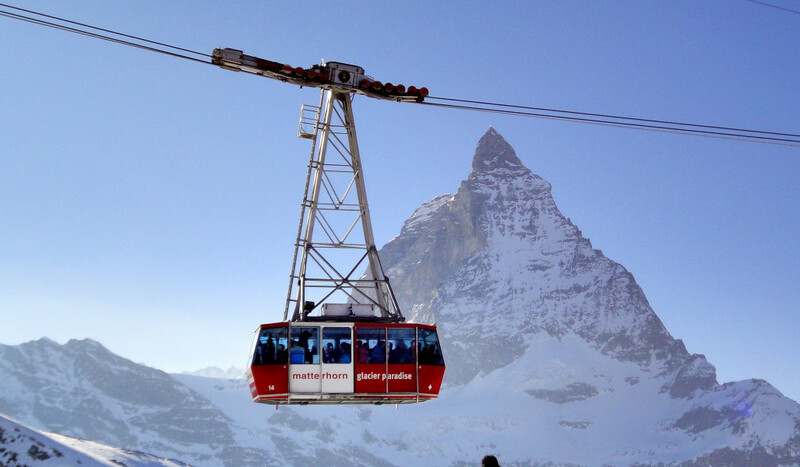 Zermatt – the best ski resort in the Alps?